A scathing report by prison watchdog Howard Sapers on how Correctional Service Canada communicates with next of kin when an inmate dies says the federal agency has not been compassionate, open or transparent with families. 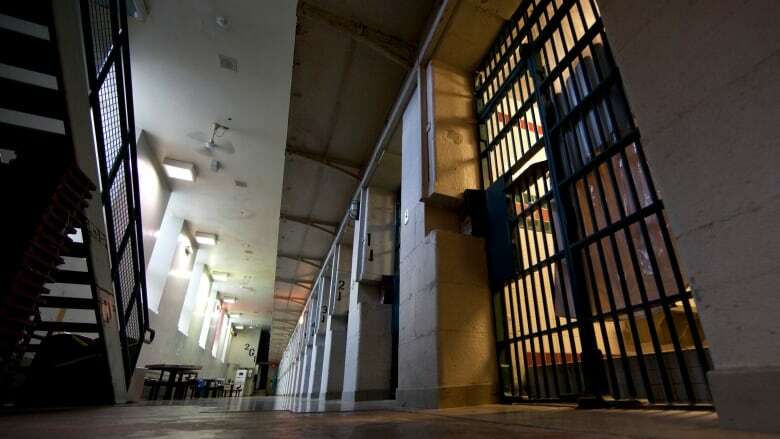 A scathing report by the country's prison watchdog on how Correctional Service Canada communicates with next of kin when an inmate dies says the federal agency has not been compassionate, open or transparent with families. The report by Howard Sapers of the Office of the Correctional Investigator (OCI) cites a case where a family member arrived to view the body of his loved one at the appointed time, but was informed the inmate had already been cremated. "To make matters worse, sometime later, the ashes were couriered to him without prior notice," reads the report. It quotes the family member saying, "They cremated him and they sent him by Purolator … sending someone in the mail … it's just not right." Sapers says his office decided to conduct a formal review because after years of raising his concerns, CSC has not changed its ways. "The refusal, denial or delays to proactively share information with next of kin often leads them to suspect the worst, feel suspicious or apprehensive about what may have transpired behind bars and impedes their ability to pursue legal remedies," reads the report. The document says most relatives are notified about the death of a family member by telephone. The call is often made by a prison chaplain who has few details, or a correctional service employee with no training on how to break sad news who feels legally obligated not to share any information. The report says many families wait years to find out how their loved ones died, and that in many cases, they only get that information after filing a formal Access to Information request. While the government waives the $5 fee for such requests, families often find the documents they receive are heavily redacted. When deaths are of natural causes, the correctional service conducts a mortality review. All others are subject to a national board of investigation. The OCI compared the documents received by seven families with the original documents and found a lot of information had been improperly or inconsistently redacted. In one case, a national board of investigation was edited to exclude information that had already been released to the media by the correctional service. More troubling is what was edited out. "There are numerous examples where redactions within a section of the report completely change the context of the information that is provided," says the report, which provides a specific example. "CSC exempted all information about how the inmate had threatened to kill himself and that these threats had not been shared amongst CSC staff or documented, as is required by policy. However, CSC released information that the inmate had denied any suicidal ideation," reads the report. "The redactions in this case lead the reader to believe that the offender was not suicidal and that CSC staff were compliant with law and policy, when in fact this was not the case." CSC says it discloses information to family members "on a case-by-case basis." It argues released information could compromise an ongoing investigation. "The presumption should be open by default," countered Sapers. "That is the government of Canada's position, that government — any government information — should be open by default. And then you go back and apply the exemptions as judiciously as possible." The report also points out that there is no training for correctional service employees who deal with families after a death, which may explain the many instances cited in the report where people reported feeling belittled and made to feel shame for loving someone behind bars. Most families felt funeral arrangements for prisoners were conducted professionally. One correctional service staff member said that, contrary to policy, one penitentiary paid the funeral expenses for all inmates who died in custody. Quickly disclose as many relevant facts to families immediately following a death in custody. Train staff who communicate with next of kin after an inmate dies. Develop a guide for families explaining correctional service policies, processes and responsibilities following a death. Release all mortality reviews and national board of investigations reports to families in a timely manner and in their entirety. Set up procedures and protocols for communicating with family when an inmate is taken to an outside hospital in a medical emergency. In 2015-16, 65 people died in federal custody, most of them of natural causes. "When somebody dies in state custody and care, I think people have the right to know whether the state lived up to its obligation," said Sapers. CSC says it's reviewing Sapers's report and deciding what actions to take, including offering training to staff members to assist them in communicating with families after an inmate dies. The federal department says in a statement it will also review the level of engagement between family members and CSC staff, but maintains sharing routine, proactive information with families of dead inmates "presents privacy challenges for all parties involved, including family members." "The loss of life is a tragedy, and we are taking concrete steps to address the areas where changes need to be made," reads a statement. "We recognize that the death of a family member is an extremely challenging time, often made more difficult when he or she has been incarcerated away from his or her home community. We want to ensure that we are communicating with the families of offenders following a death in a clear, transparent and empathetic way." Ralph Goodale, the minister of public safety, said he'll make sure CSC reviews the report from Sapers's office and will approach Canada's privacy commissioner for advice. "This report raises serious concerns about how information is shared with families whose loved ones have died or been seriously injured while in federal custody," Goodale said. "We will work with the Correctional Service of Canada to ensure that the correctional investigator's recommendations are reviewed and responded to appropriately, and that openness by default is the guiding principle of every interaction CSC has with grieving families."